At the beginning of 2017, a national task force of about a dozen people was assembled to create this new pricing model. NYSSPE Executive Director Anthony Fasano, PE, was one of the people selected for this committee. Fasano represented New York during this process, and with input from NYSSPE leadership, helped NSPE to sculpt this new unified dues structure. 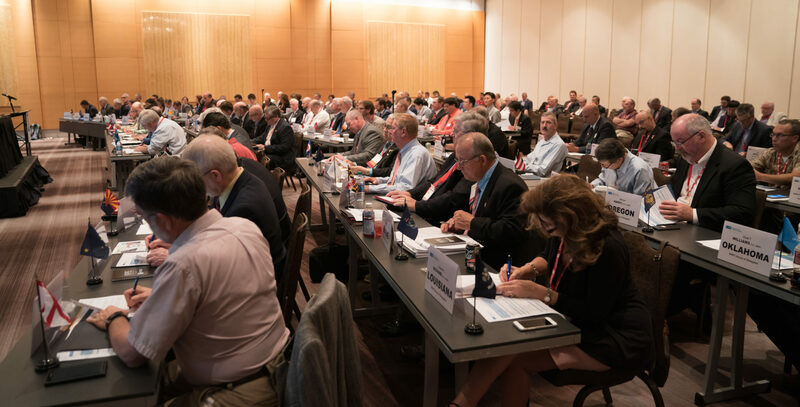 Last week in Atlanta at the NSPE House of Delegates (HOD) meeting, the new unified dues structure was passed, and the implementation of this new structure in the coming months will result in a large discount in annual membership dues for NYSSPE members. NYSSPE Past-President Larry O’Connor, PE, F.NSPE. PLS represented NYSSPE as the HOD Delegate and gave a short statement during the meeting expressing NYSSPE’s support of the initiative. NYSSPE President Pellizzi and Executive Director Fasano were also present at the HOD meeting to support O’Connor and the initiative as a whole. This is a huge step for NSPE and also for NYSSPE, as it will allow us to continue to offer great benefits to our members, now at a lower, more affordable price. We will keep members up to date here on our blog as to the schedule of implementation and the final amount of the new dues for NYSSPE members.